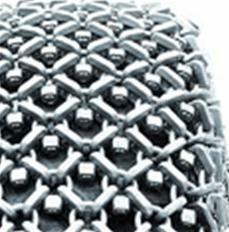 WEARCO NSW represent RUD Chains for Tyre Protection Chain. Our service in this field extends to the retrofitting of tyre protection chain and continued maintenance tensioning of chains insitu. 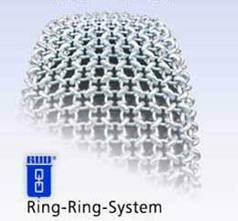 Ring-System in 3-Link Configuration. Ideal for the general-purpose application in basalt, diabase, slate, ore, limestone, gypsum and marble. 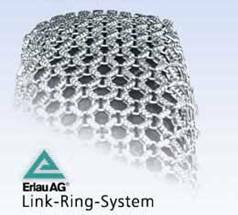 Ring-System in 4-link Configuration. Complete tyre protection for aggressive and highly abrasive applications such as granite, glass recycling, porphery, basalt, hot slag, mining, ore, gabbro and manganese. Smooth Forged Links. Excellent performer in low abrasion rock such as basalt, limestone, diabase, dolomite and marble. Grooved Forged Links. Excellent performer in limestone and sharp rocks such as granite, porphery, basalt and recycling. Diamond Style Forged Links. 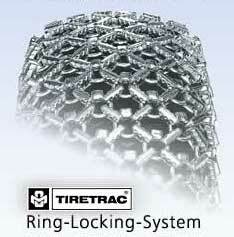 Dense and wear resistant tyre protection chain. Ideal for rugged conditions such as granite, dorite, diabase, porphery, ore and recycling including hot slag. Garant. Optimal chain for traction in slippery terrain. Increased grip and good tire protection makes the Garant suitable for work on slopes or in wet, muddy and slippery conditions. For use in high temperature applications. Unsurpassed heat resistance through hardened components.